Simplicity 7785. Dress up your kitchen. 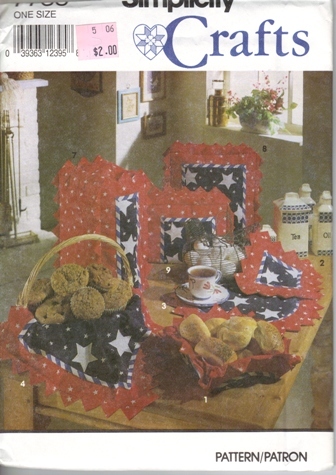 Pattern includes pattern for Tray, Potholder, Place mat, Napkins, Table Topper, Table Skirt, Blender Cover, Mixer Cover and Toaster Cover.